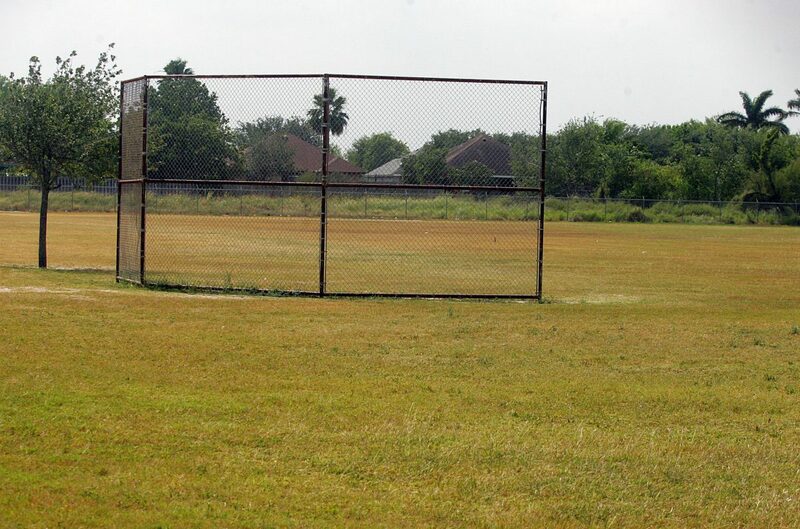 A baseball playground near Memorial Middle school on Doolittle road on May 16, 2017 in Edinburg. EDINBURG — The fate of a proposed park at the center of a controversy is still unknown after Edinburg city council members took no action on the item Tuesday night. Emotions were high at the meeting with an Edinburg school board member alleging the project wasn’t moving forward because the majority faction of the city council is no longer interested in building it. 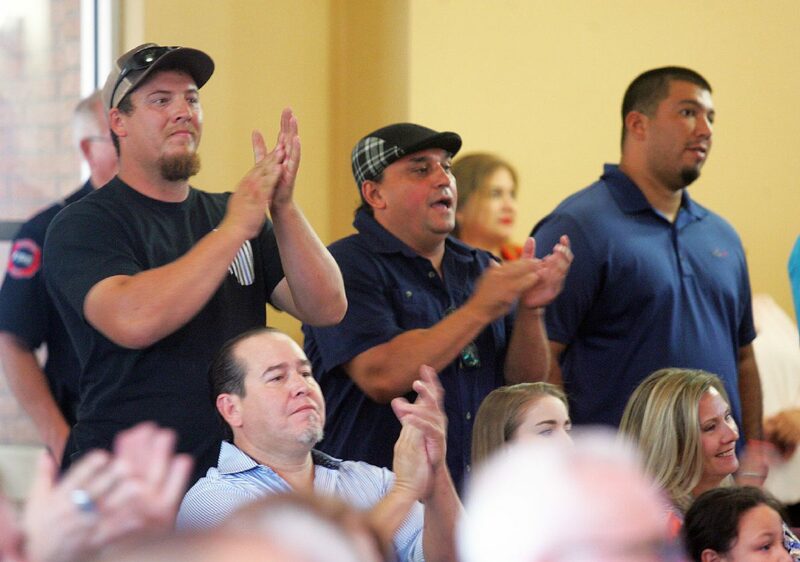 Mike Farias, a school trustee, followed through on his promise to defend the Memorial Eisenhower Sports Complex as Edinburg council members threatened to terminate the project at the city meeting Tuesday. Farias made headlines earlier this week when he and Mayor Richard Garcia exchanged words over the cause of the park’s delay on social media. Garcia argued — via Facebook and at the city council meeting — that the school board caused the one-year delay. School officials signed a binding document to take the lead and oversee the project and the city would in turn reimburse the district up to $1 million after the project’s completion. But that’s exactly what Farias alleged during the public comment portion of the meeting. According to the school board member, school officials were told multiple times the money from the city was not available and that the majority sitting on the council is no longer interested in following through with the project. 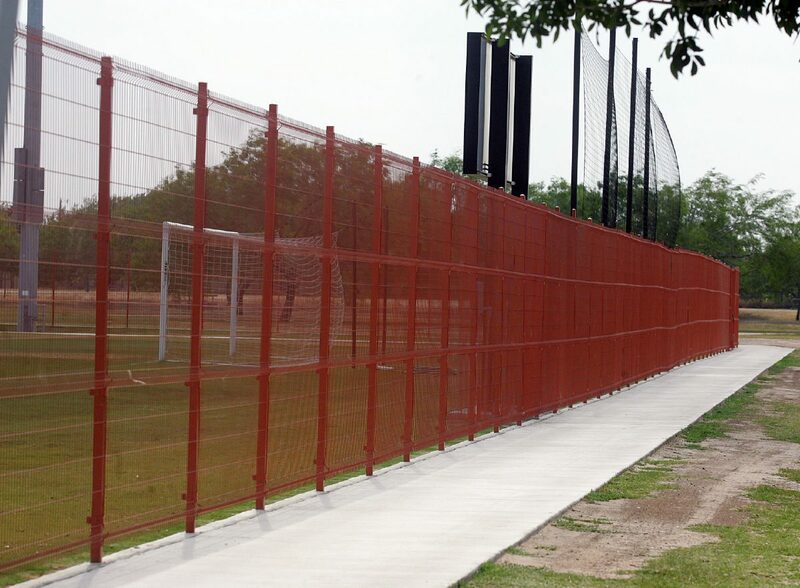 “These are facts because in October (Edinburg schools Assistant Superintendent) Mario Salinas met with your city manager and was told that there was no money for the park and the majority was not interested in moving forward,” Farias told the council. He went on to list a number of specific dates in which emails were sent and contact was made with city officials, who he said expressed disinterest in the project. The school board went as far as sending the city an email dispelling rumors circulating in January that the district did not have the funds for the project. Council member David Torres later revealed during the meeting that Jasso had also requested to place an item to possibly terminate the project on the agenda. Jasso, however, defended his request by pointing to a second park on hold. The project, designed for children with special needs, is at a standstill because the money needed to move forward is already earmarked for the sports complex that has not moved forward. They mayor also agreed with Jasso. Instead, they suggested terminating the agreement with the school district, using the allocated funds toward the special-needs park and re-budgeting next fiscal year for the sports complex. “No!” an angry crowd of supporters replied. Council member J.R. Betancourt — who had remained mostly quiet during arguments between the two factions — tried to calm the controversy. Betancourt went on to suggest a motion to fund both projects, but the motion was moot when council member Richard Molina pointed out they couldn’t vote on an item not on the agenda, in other words, the special-needs park. That was music to the crowd’s ears. City Attorney Rick Palacios agreed with Molina’s interpretation of the law. Instead, he suggested the council take no action on the item, rewrite it, and bring it back onto the agenda for the next meeting. In the meantime, the council vowed to look for sources of revenue to fund both projects, including a potential contribution from the city’s parks and recreation department, which has about $1 million in its coffers. “There is enough money to do both projects,” one council member declared shortly after, which brought the crowd to their feet as they exited the building before the meeting concluded.